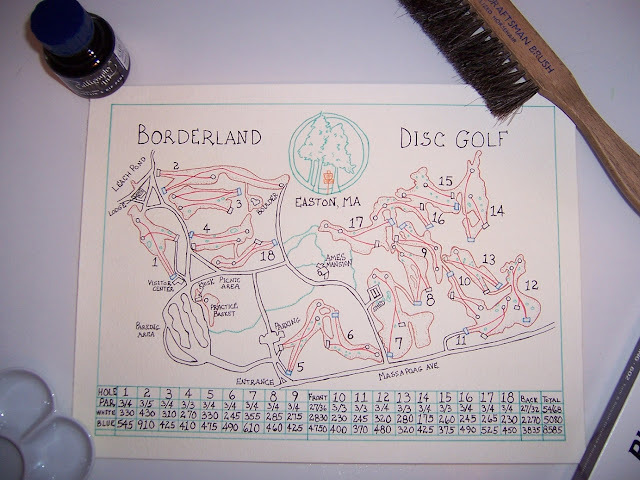 In the late 1970's my friend's and I played a form of Frisbee golf, now officially know as Disc Golf. We had no rules back then - we basically traipsed through the woods and picked out certain trees that you had to hit for the holes. 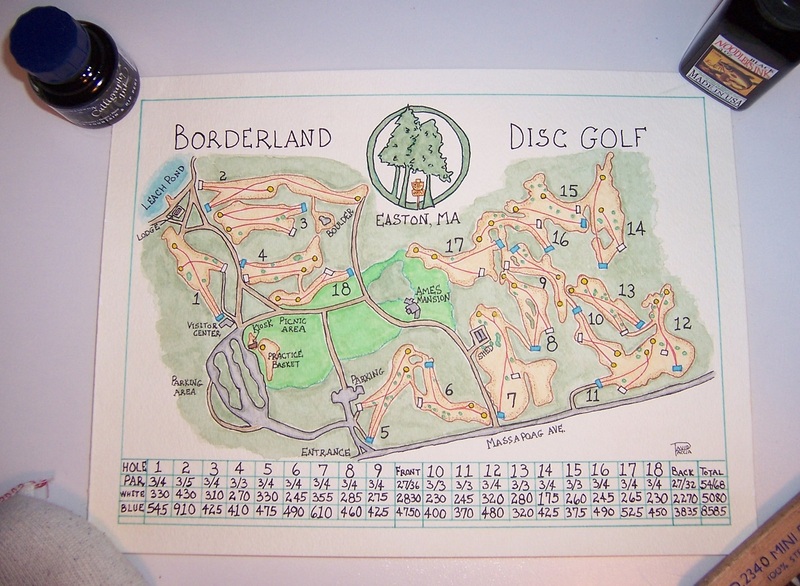 So, when I was approached to do a map of a disc golf course located in one of my local state parks, I couldn't say no. I had no idea how big disc golf is. There is even a Professional Disc Golf Association, a PDGA Tour and World Championships. I may have to try this out!